前些天spring4.2出来了, 从GA开始就一直在跟了, 前2天看完了所有Release Notes, 觉得记录下我比较感兴趣的特性. 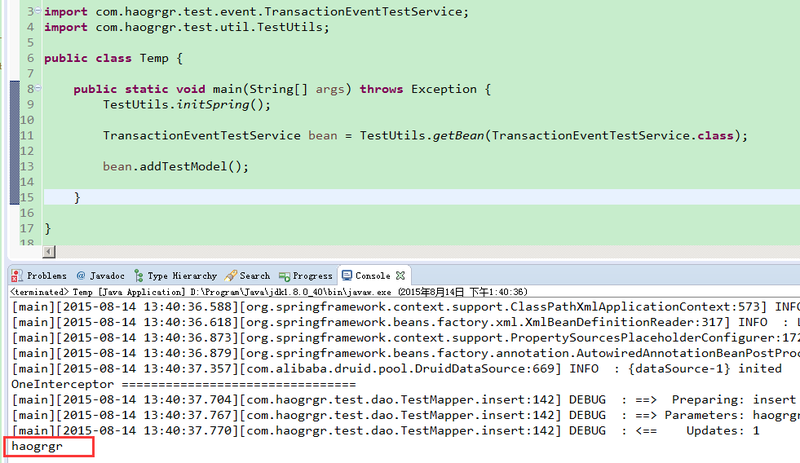 Exception in thread "main" org.springframework.beans.factory.parsing.BeanDefinitionParsingException: Configuration problem: com.haogrgr.test.main.Main$Dao was @Import'ed but is not annotated with @Configuration nor does it declare any @Bean methods; it does not implement ImportSelector or extend ImportBeanDefinitionRegistrar. Update the class to meet one of these requirements or do not attempt to @Import it. 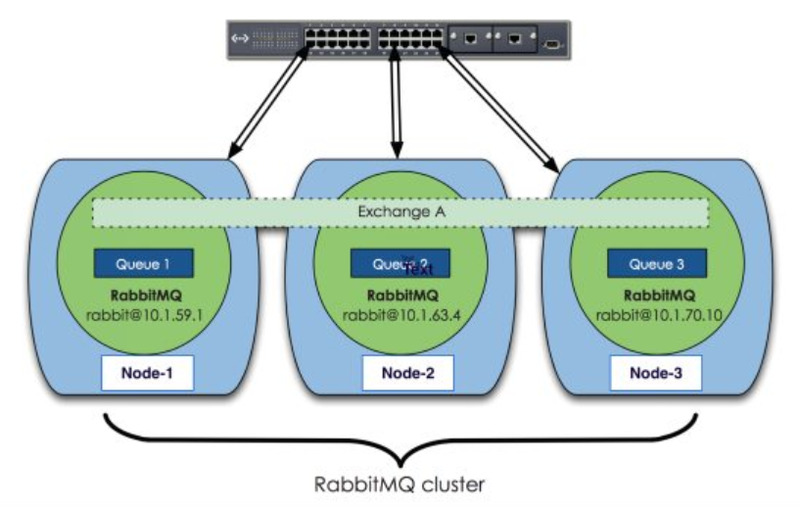 输出: submain, 可以通过修改Order的值, 来使输出为 main. 注: 4.2之前, 是根据AnnotationConfigApplicationContext(Main.class, SubMain.class) 初始化时参数的顺序来处理的. 4) @Resource注解的元素, 现在可以配合@Lazy, 和@Autowired一样, 注入代理类, 来代理对应bean的请求. 可以看到, 主要是为了方便实现Scope代理(或延迟获取, 比如注入时还没初始化等)情况, 也就是当singleton引用prototype时, 就需要@Lazy. 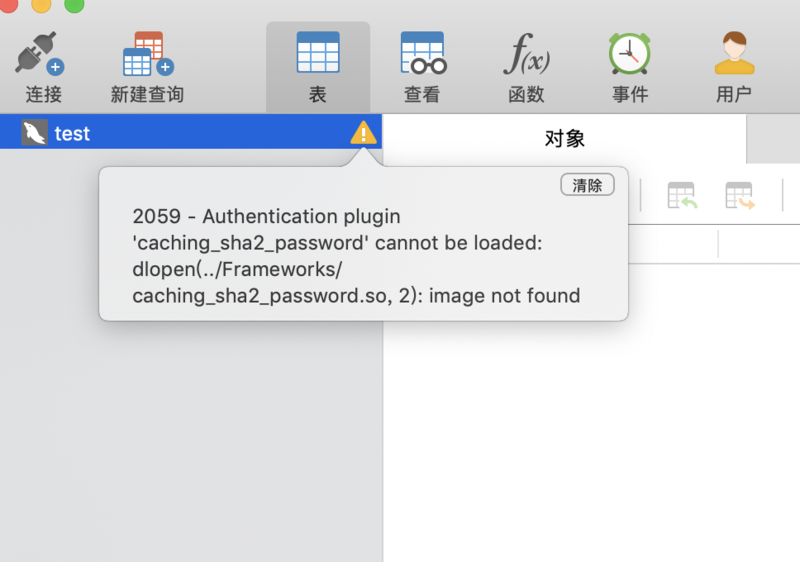 5) application event那套现在提供注解支持了, 比如以前常用的AppContextUtil(获取Context, 提供静态方法获取bean)现在可以这么写. 一个场景就是, 当插入记录提交事务后, 异步发送消息到其他系统, 或本地记录日志等操作, 现在可以通过TransactionalEventListener来做了. 注: 下面的代码仅供参考, 如果要运行, 自己搭一个数据库环境吧, 这里只贴了相关的代码. //当事务提交后, 才会真正的执行@TransactionalEventListener配置的Listener, 如果Listener抛异常, 方法返回失败, 但事务不会回滚. 6) 提供@AliasFor注解, 来给注解的属性起别名, 让使用注解时, 更加的容易理解(比如给value属性起别名, 更容易让人理解). commons-pool2支持, 脚本加强等, Hibernate5支持, JMS增强 等等等等. 再多说点吧, Spring解析Java配置类的时候, 会判断类是不是标注了@Import注解, 然后会判断, 如果Import注解的value是ImportBeanDefinitionRegistrar类型, 会存到一个变量, 后面初始化bean工程完成后, 会回调ImportBeanDefinitionRegistrar. 用来手动注册bean定义的, 可以实现类似于Mybatis-Spring提供的扫描Mapper接口并注册其bean定义, 事实上@MapperScan注解就@Import了MapperScannerRegistrar这个类, 而这个类实现了上面的接口, 来扫描Mapper并注册bean定义.